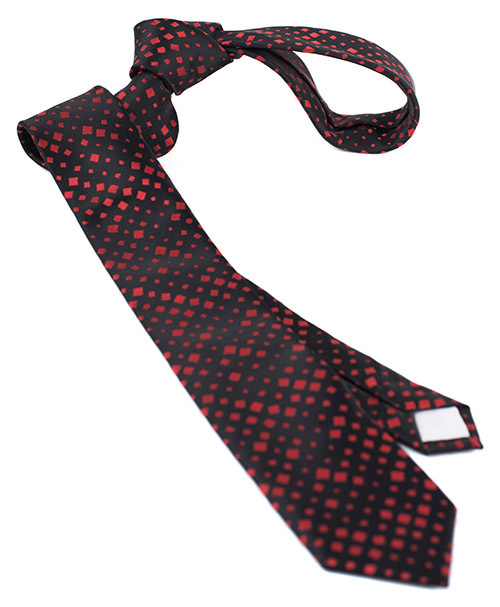 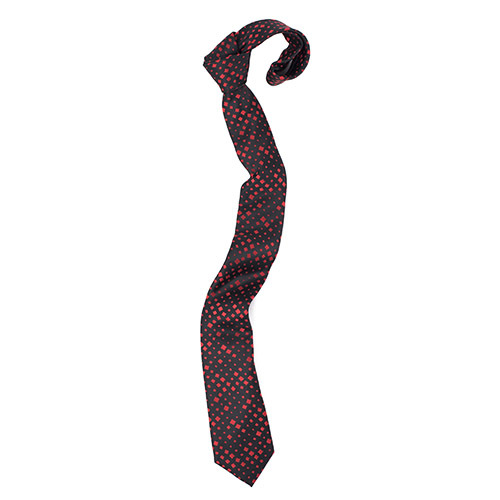 Inspired by glowing fireflies in the dark of night, this tie shimmers with a glowing and irregular pattern. 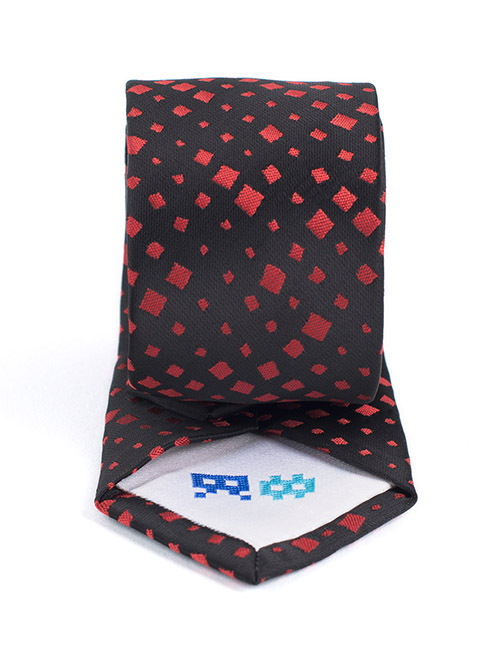 This tie sports a discrete but erratic pattern. 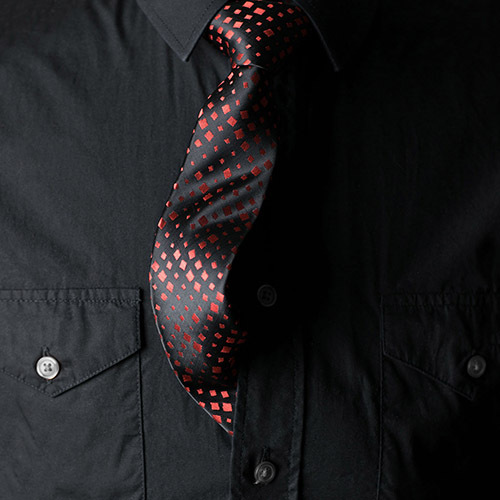 The black and red gives an impressive touch to most outfits.